Used Ram Dealer in Washington, MI | Orchard Chrysler Dodge Jeep Ram " "
Make your way down to Orchard Chrysler Dodge Jeep Ram in Washington, Michigan for the very best in used Ram vehicles. The used truck lineup here at Orchard Chrysler Dodge Jeep Ram is second to none thanks to the Ram 1500, Ram 2500 and Ram 3500, each pickup with more power and precision than the one before it. And don’t forget about the Ram ProMaster cargo van, the pinnacle of transport available now on our lot. Discover which used Ram is best for you with a visit to our lot today! 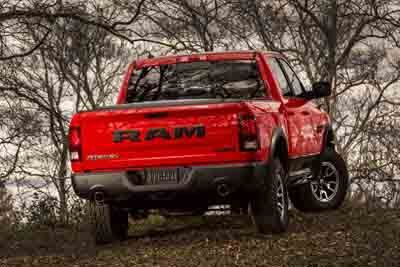 Find a used Ram model at your local Washington, MI Ram dealership. Orchard Chrysler Dodge Jeep Ram in Washington, MI is committed to finding you a dream vehicle at a dream price. We’ll make that happen with some help from our friendly and knowledgeable team, fitted with the know-how to answer any questions you may have about our pre-owned Ram vehicles. When you feel like you’ve found the perfect pickup, hop behind the wheel for a test drive! We’re excited to get you in the driver’s seat. Stop by our location today to get started. Signing the dotted line will be the least of your concerns thanks to the finance gurus at Orchard Chrysler Dodge Jeep Ram in Washington, MI. Not only will be work with your credit history to secure a low-rate auto loan, but we’ll also work with any trade-in value you bring in and ensure you’re getting a true idea of what you’ll pay before you drive off the lot. Feel confident about getting a great deal on your used Ram vehicle with help from our calm and capable finance staff!